Developed by the Russian scientist Ivan Pavlov, classical conditioning is the first type of learning wherein an organism responds to an environmental stimulus. Pavlov established the laws of classical conditioning when he studied dogs deprived of food and their response (salivation) to Pavlov's assistant as he walks into the room. 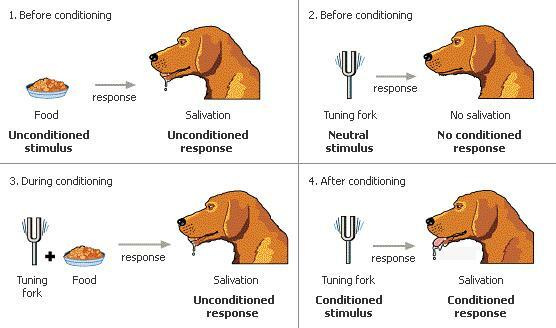 In classical conditioning, the stimulus (S) triggers the response (R) of an organism. With the exposure of the organism to the stimulus, reflex results. Reflex is the involuntary behavior which comes from within. One of the most common reflexes seen to us is the blinking of the eye whenever air is blown into it or a foreign object approaches it. The concept of reflex, no conscious control, is incorporated in classical conditioning. 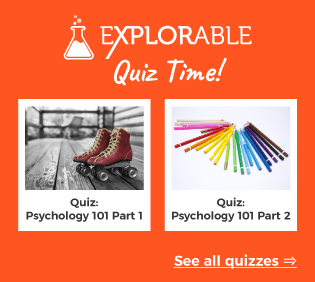 This means that without learning, a stimulus can elicit a reflex. Reflex is called the unconditioned response because as what we mentioned, it is involuntary and we do not need to learn it for the event to occur. This means that when this stimulus is presented to the organism, it would not execute the same response he showed when it encountered US. This means that whenever the previously neutral stimulus is presented alone (US is not showed anymore) to the organism, it causes UR to occur. But this time, UR is changed into Conditioned Response (CR), because the response is elicited due to conditioning. Therefore, CS elicits CR.